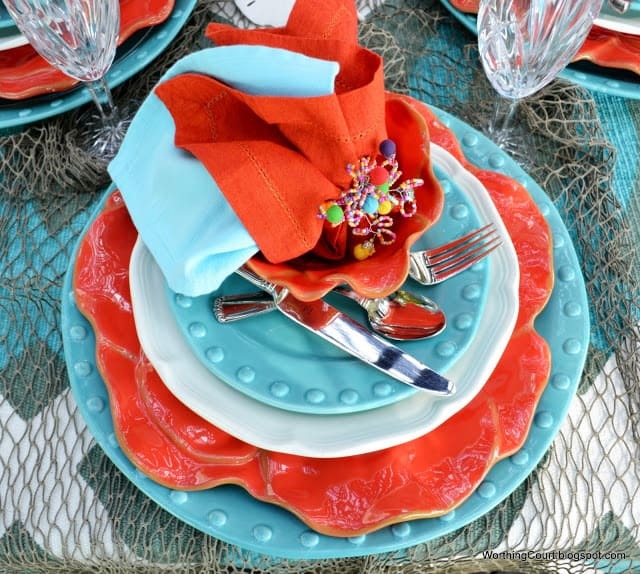 Coral and turquoise – yum. 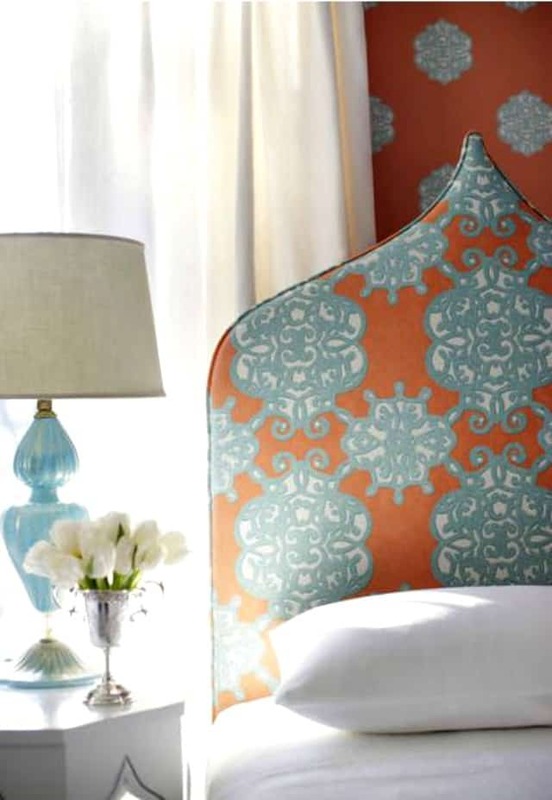 It’s an amazing color combo that you can’t go wrong with. 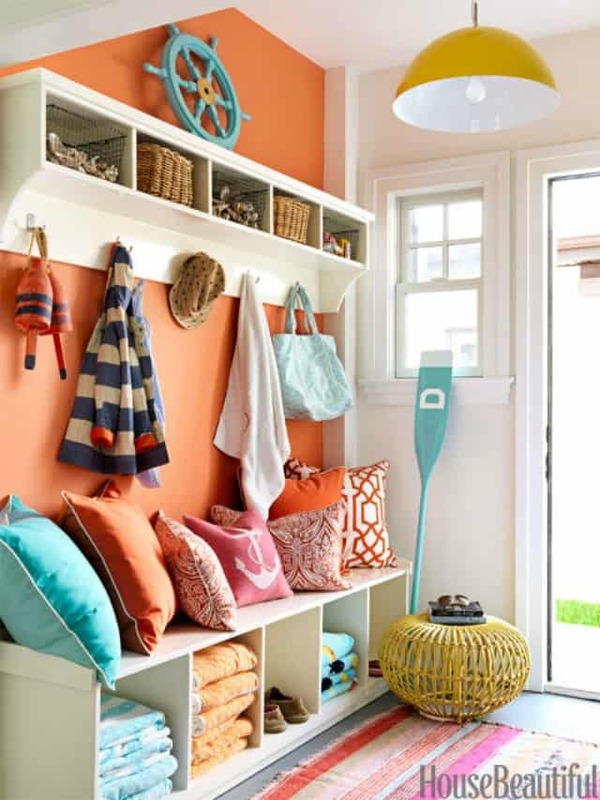 The warm tones of coral help to warm and space up and the cool tones of turquoise help to cool it down, creating the perfect balance. It’s in every room in the house! 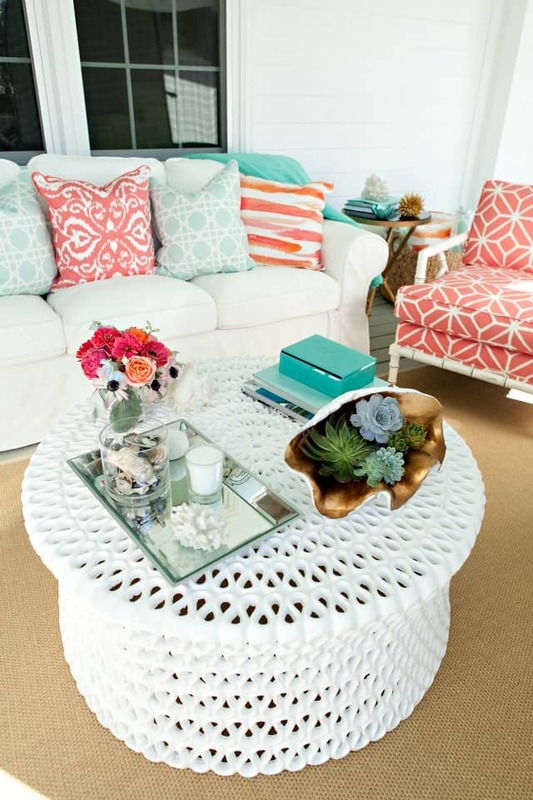 How about you – is turquoise and coral for you? So pretty. It shouts summer! Where can I find the beautiful drapes for the living room?